A blend of Apricot Kernel oil, Argan oil, Avocado oil and Pequi oil seamlessly mix together with Jasmine absolute. Loaded with antioxidants, omega 3 fatty acids and vitamins, this Beauty Oil is not only sumptuous and effective, but smells exotically beautiful and feels amazing! This is a multi tasking, one stop product for those on a budget, those who prefer simplicity to their beauty regimen, or those looking to pack light! Skin is completely moisturized and totally smooth- not to mention the hair, nails and body! 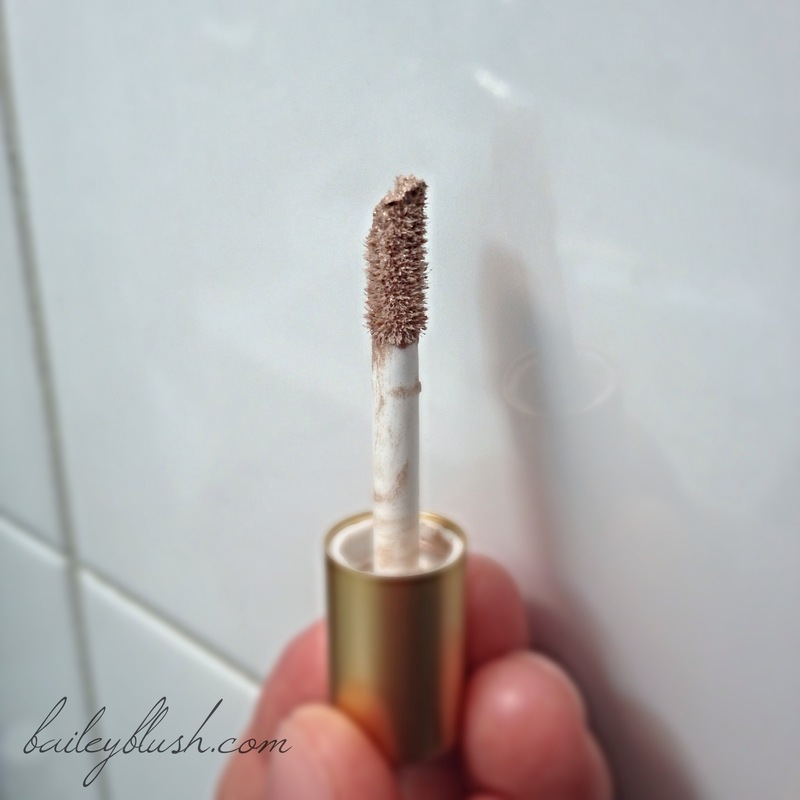 It is such a versatile product you can use it for pretty much any beauty need! As a Face oil, Body oil, Hair oil, Cuticle oil, Makeup remover ETC. 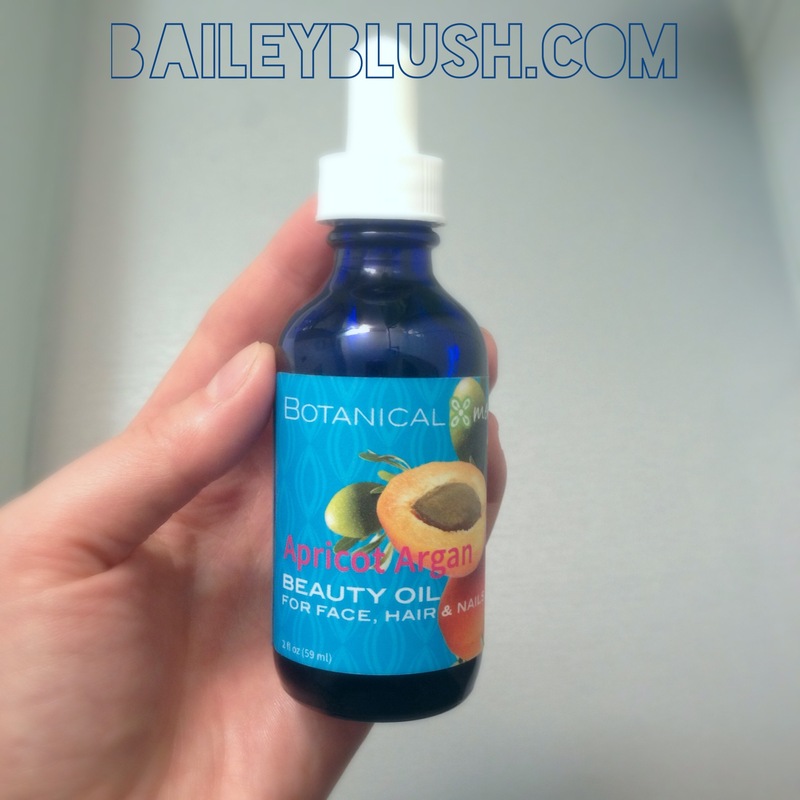 I used the Apricot Argan Beauty Oil is 3 ways! On my face – It offered superior hydration and soothed my skin. I used it in the evening on its own and underneath a moisturizer as a serum. In both cases my skin felt instantly hydrated and healthy. I woke up with a comfortable, healthy glow! I used only 1-2 drops per application and the Beauty oil smoothed so effortlessly over my skin. Such an incredible value, for such a versatile and effective product. On my body- Right after my shower 15-20 drops of this decadent oil would offer light weight, total body hydration. Skin was smoothed and had a little Victoria Secret model glow! Who wouldn’t want that?! On my hair- After washing my hair, I would use 1 drop of the Beauty Oil on the tips of my strands to deeply nourish and hydrate. 1 drop is all you need as the oil is very concentrated! It gave my hair shine and softness without weighing it down! I also used a little bit on my lashes to help them soften and grow! Ingredients: Prunus armeniaca (apricot) kernel oil, argania spinosa (virgin argan) oil, persea gratissima (avocado) oil, caryocar braziliensis (pequi) seed oil, prunus armeniaca (virgin apricot) kernel oil, citrus paradisi (grapefruit) oil, aniba rosaeodora (rosewood) oil, jasminum sambac (jasmine) absolute. 100% pure Cape Lavender Essential Oil is straight from the farms of South Africa, Lavender Essential oil has so many endless benefits for both physical and mental well being. Well known for its calming, anti anxiety and stress relieving action, did you know that lavender is also beneficial for skin irritations, burns and eczema when applied topically? This is because of its natural anti-inflammatory, anti bacterial properties! You can use the Cape Lavender Essential oil in a multitude of ways including blending it in your favorite lotion or oil, in the bath, in a diffuser or directly on burns, bites or irritations! I used the Cape Lavender Essential oil in my diffuser to help calm my senses after a long, hard day. I also used a few drops in my bath water- also to help with anxiety and stress. 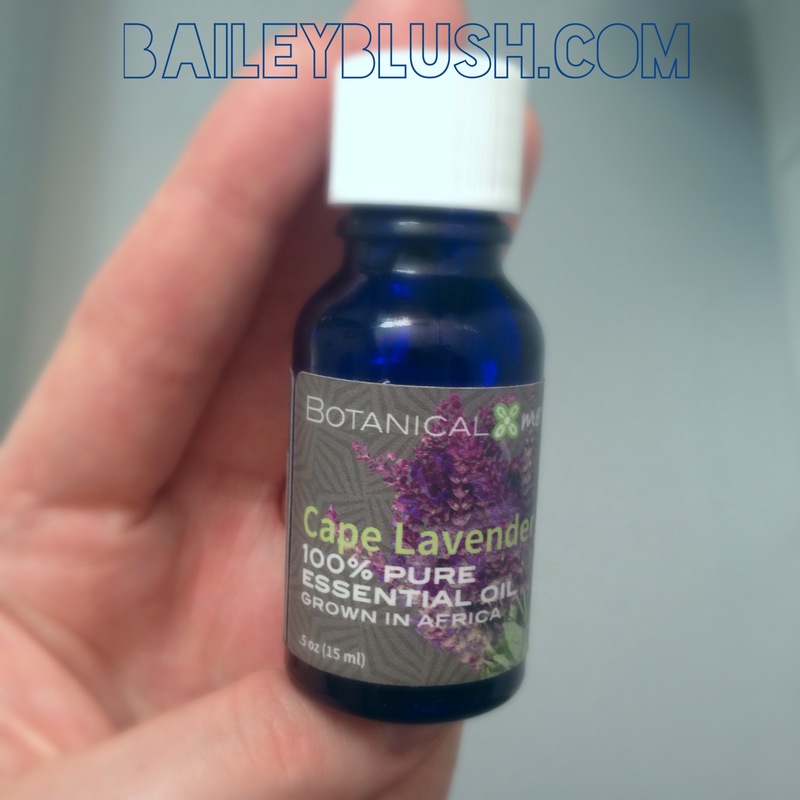 I found the Cape Lavender essential oil helped me unwind and relax. If you do have any skin bites or irritations, I highly recommend trying it on these irritations, as it is truly effective! A lovely lip balm packed with raw, fair trade organic Shea butter grown by a women’s group in Togo West Africa! Super smooth, slightly cooling with a cool mint flavor! 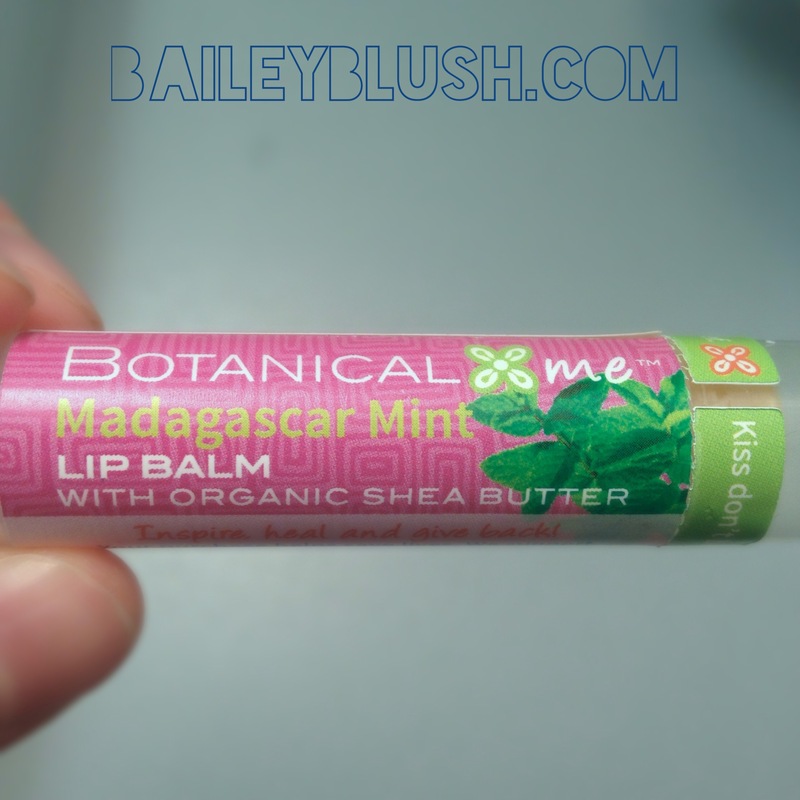 I had this little gem in my purse for a few weeks, and used it when ever my lips were feeling uncomfortable- and I can say that it did protect them from getting chapped! I had soft lips that were smooth and healthy! It really smelled and felt beautiful! Ingredients: Beeswax, jasminum sambac (jasmine flower) wax, tocopherol (vitamin E), butyrospermun parkii (fair trade organic & raw fair shea butter) fruit, mangifera indica (mango seed) butter, persea gratissima (avocado) oil, triticum vulgare (wheatgerm) oil, jojoba chinensis (jojoba) oil, callophyllum inophyllum (foraha) oil, aroma (flavor)*. *Essential oils of spearmint, ylang ylang & lavender. An aromatherapy roll-on splendidly crafted with African grown chamomile, lavender and rose geranium essential oils; designed to help ease mind and body. 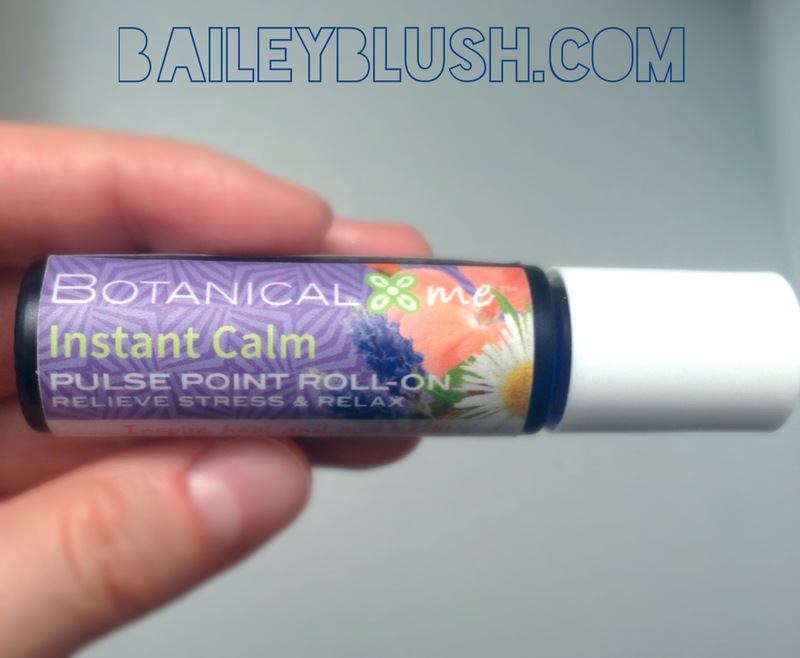 Perfect on the bed side or in the purse for on the go anxiety relief! :) Roll on temples, wrists and neck- Inhale Deeply! God knows I needed this! I have been extra uppity these days, and have need all help I can get. This little roll on was my go to for through out the day and before bed. Smells so good! It really did instantly help calm my spirit, a great, simple aroma blend. Ingredients: Caprylic/capric triglyceride (coconut oil), fragrance (parfum)* *Blend of 100% pure, therapeutic essential oils including lavender, chamomile and geranium. An aromatherapy roll on with a BAM. Awaken your senses with Grapefruit, Eucalyptus, Mint and African Ginger! The Aroma equivalent of a double expresso, without the down side! Great to apply after your morning shower or during your afternoon lull to give you the energy to push through your day. A little roll on the neck, wrists and shoulders will be sure to give you some bounce. Kept this bad boy with me to help pick me up after the Instant Calm relaxed me to the point of sleep! 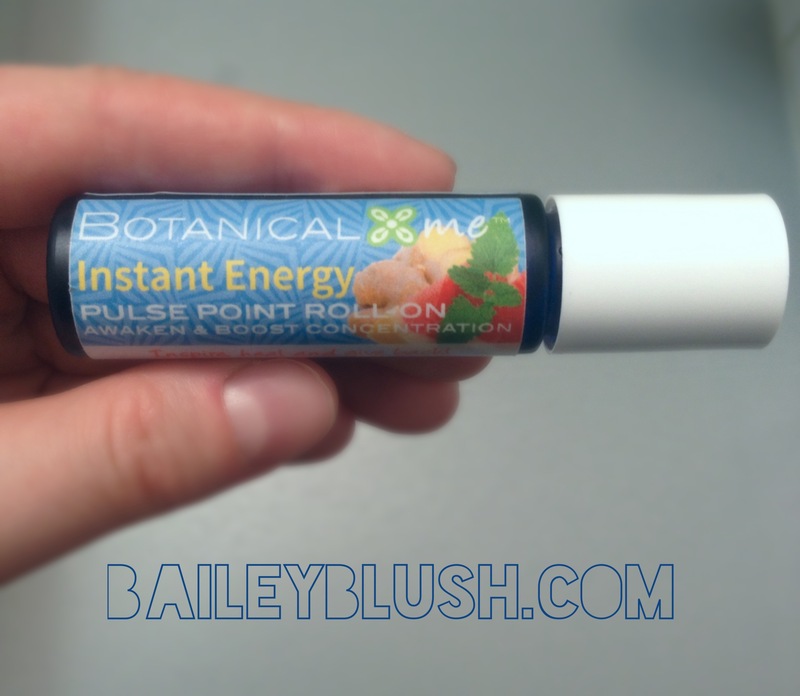 ;) Loved using it in the morning to help me feel refreshed and invigorated. It made me happy- there was a minty coolness that soothed while lifting my energy levels. Helped me focus mid day when my brain felt like mushy muffin. A mini sized skin, hair, fabric and air freshener! Made with calming Cape Lavender Essential oil and refreshing Basil and Citrus Essential oils. A multipurpose, gorgeous smelling freshner that calms and refreshes the senses simultaneously. Can be used on clothes, hair, skin, linens, car ETC. 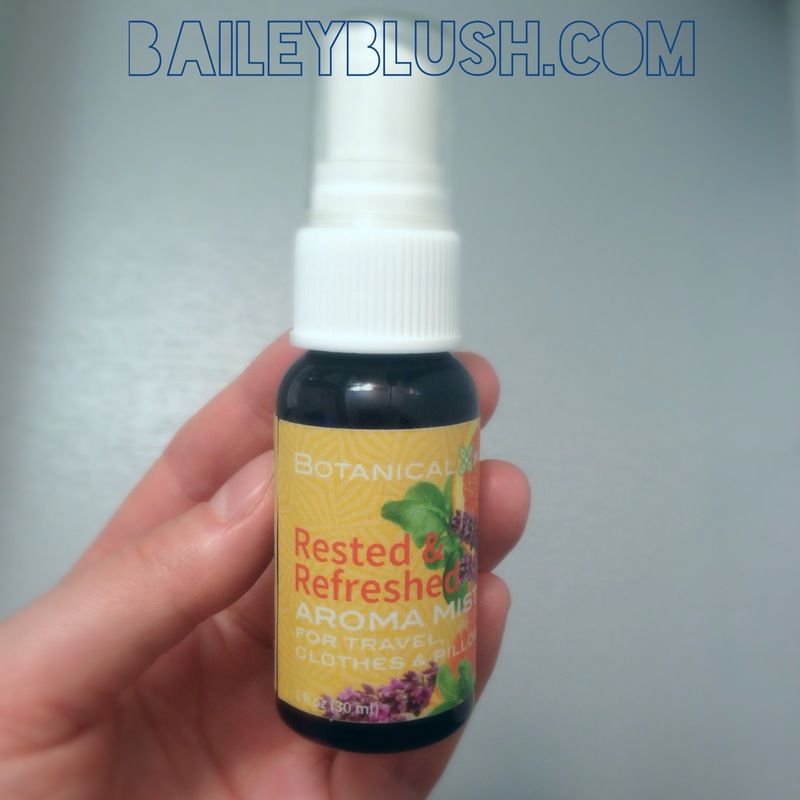 I used this sweet sized refresher as a hair, skin and clothes spray. I really adored the earthy, refreshing aroma and could not imagine using it on anything else. The Aroma lingered beautifully on me without being over powering. I even got the “you smell good, what is that?” compliments! I reluctantly allowed my pillow a small spritz- and dreamed in Aroma bliss all night long. Thank you so kindly to Jill and Carly for introducing me to Botanical Me. 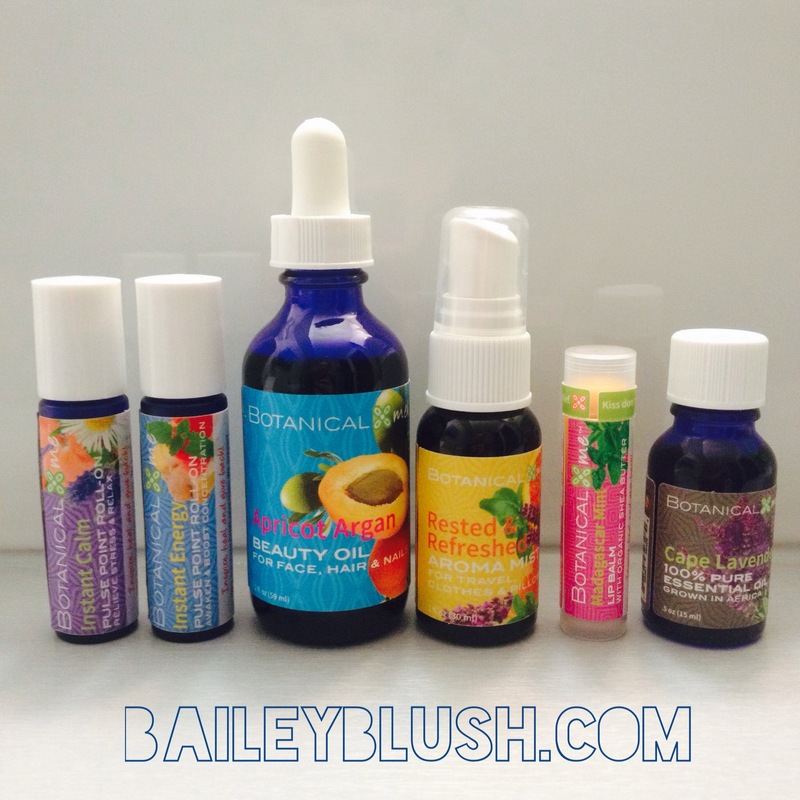 Have you tried any of the Botanical Me product? Interested in trying anything? Let me know! I had been seeing this little sponge circling the green beauty blogs for a while and I didn’t really ‘get it’. I thought it may be a typical cleansing sponge, so I was unsure about all the hype. With much confusion and a little curiosity, I was excited when the kind people at Dr. Sponge contacted me! That is when all the pieces started to come together… and I fell in love. Sounds like a magical beauty sponge to me! Dr. Sponge was originally designed to cleanse babies delicate skin and is now used to cleanse, gently exfoliate and tone all skin types. It is especially amazing for those who have sensitive or intolerant skin and are looking for an effective exfoliation method! When you first get your Dr. Sponge it will be very hard- you have to run it under water until it expands to about twice it’s size! When it feels squishy and soft- its ready to use! Gently massage around face and body to softly exfoliate and cleanse the skin. It may be used with or without your cleanser. Make sure that after each use, you rinse and hang your sponge to dry by the handy dandy string attached! With proper care, Dr. Sponge can last up to 6months! What an incredible value. I was sent the Original Dr. Sponge (White Sponge) for Sensitive skin, Babies and Children and the Aloe Vera Facial Dr. Sponge (Green Sponge) for dry- very dry skin on the face. The Original Dr. Sponge was extremely gentle and perfect from head to toe. I used it on my face and body after using my soap cleanser (I preferred it on my body because it was larger). I noticed a wonderful result- the Keratosis Pilaris or ‘chicken bumps’ on the back of my arms and legs were smoothed within 1 week of using the sponge. After 2 weeks they were almost completely gone! I have literally been trying everything to smooth the area since they popped up 5 months ago- scrubs, lotions, mitts, brushes… nothing smoothed them so much as Dr. Sponge! I found it a little unbelievable, because of how gentle the sponge is, but it did do the trick! 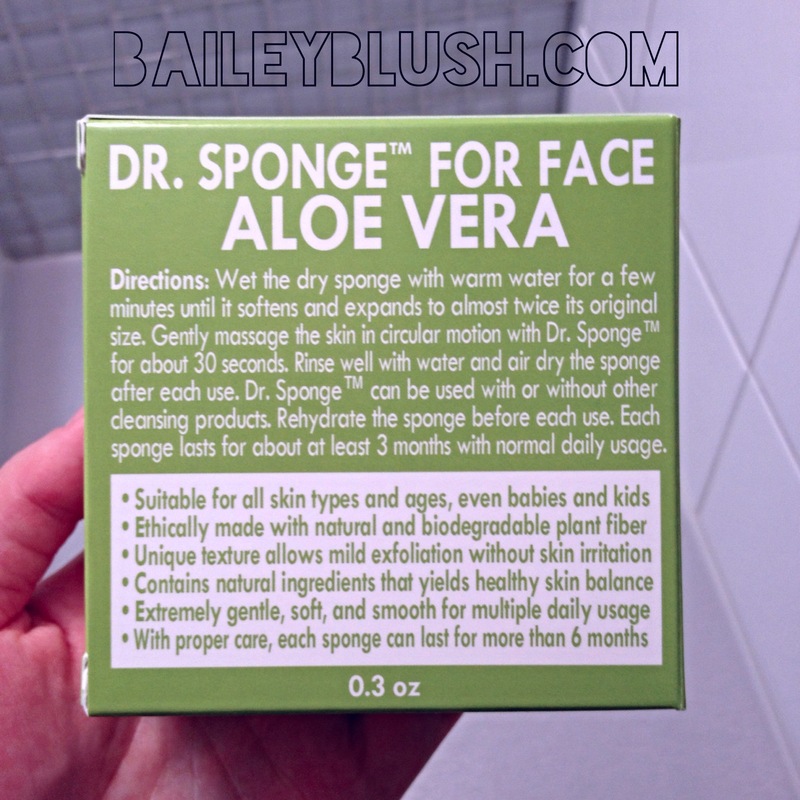 The Dr. Sponge Aloe Vera for face was a pleasure to use every day for a gentle, smooth, clean feel! It left my skin feeling invigorated and undoubtedly radiant . I noticed after only 3 uses that my skin was so smooth and hydrated. I did not feel that instant need to re-hydrate. In fact a few evenings I left my skin bare to breathe, and in the morning my skin was still soft and comfortable. Another awesome discovery? It helped with congestion in my cheek area! 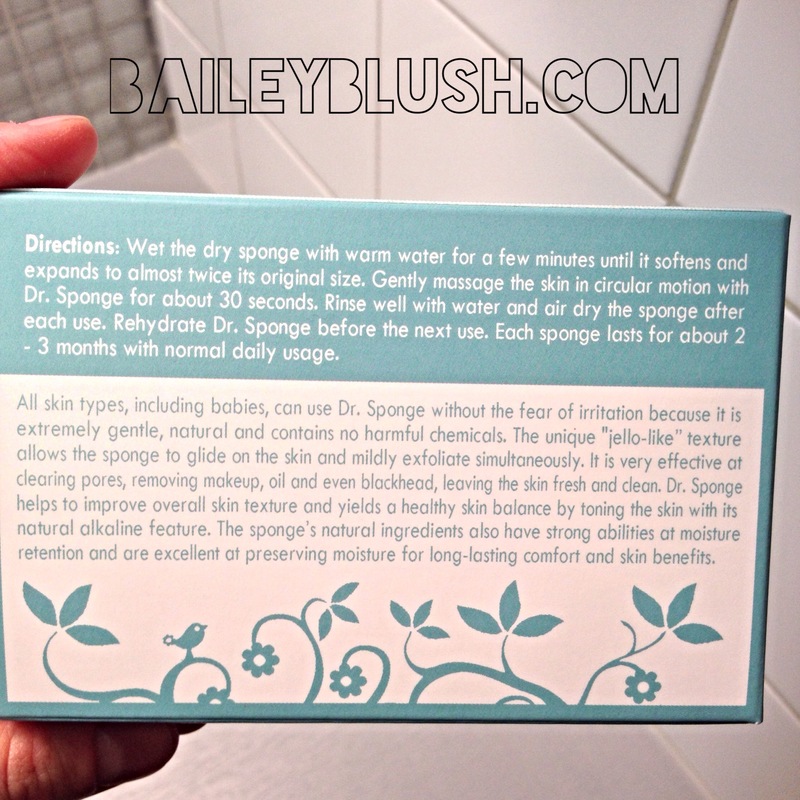 After a week of using the Dr. Sponge Aloe Vera– my skin texture was noticeably more refined. My final words? I can confidently say I prefer the Dr. Sponge Konjac sponges to any other facial cleansing brush or device that I have tried so far. I can also say that I never plan to be without a Konjac Sponge- ever again! It improved the overall look and health of my skin. They come in many different types including Charcoal for oily/combo skin types, Lycopene for mature/dry skin types, Pearl Powder for dull/ uneven skin tones and more! Visit www.drsponge.com to buy yours today!!! GIVEAWAY CLOSED! CONGRATS TO NICOLE SPARDY FOR WINNING THIS PHENOMENAL GIVEAWAY!!! What is in the Giveaway!? How to Enter to WIN!? 2.) 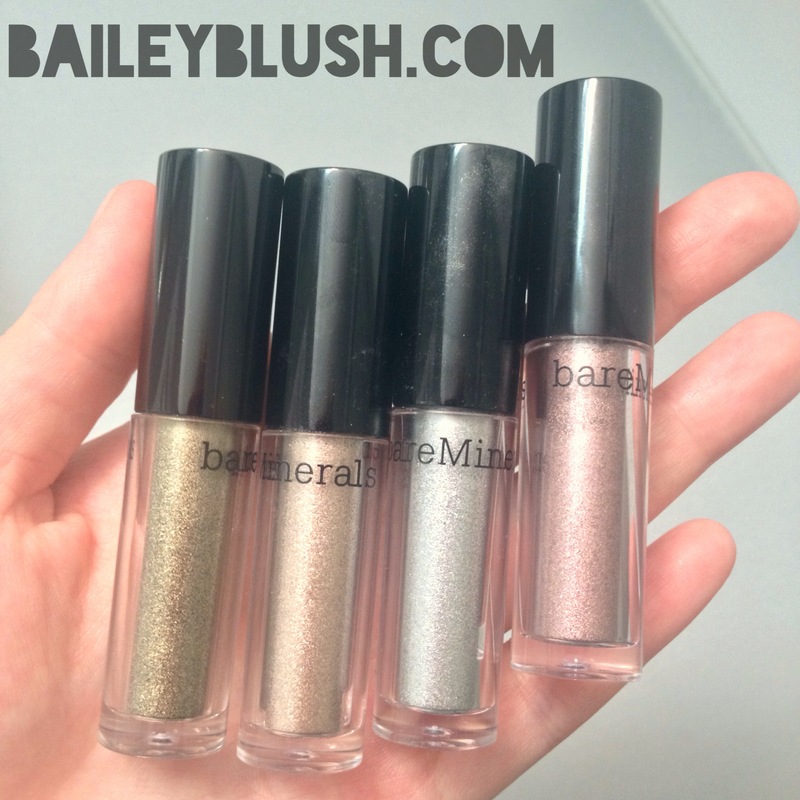 Leave a comment below with the email in which you are following baileyblush.com or the Instagram user name. 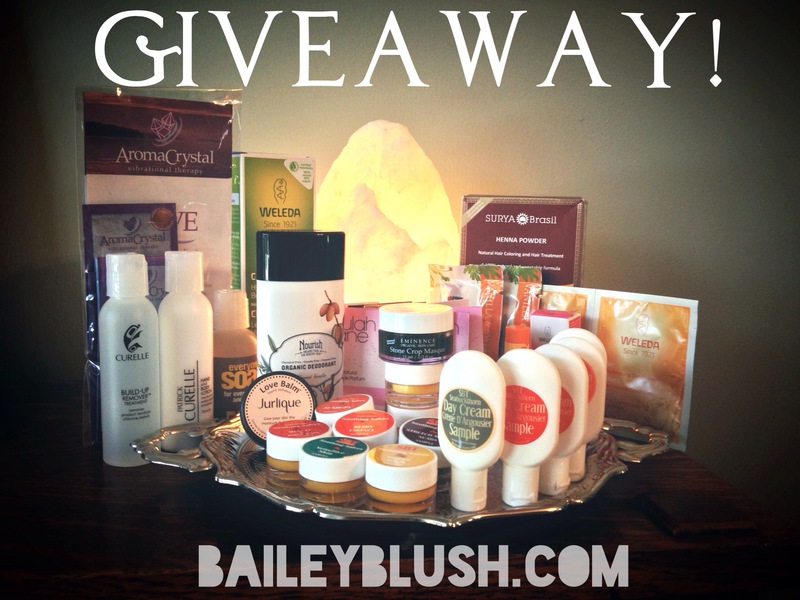 Leave a comment about which product you are most excited to try in the giveaway and why! Please Note: ALL COMMENTS CONTAINING EMAILS AND USER NAMES WILL BE DELETED ONCE THE GIVEAWAY IS CLOSED!!! A winner will be chosen by random draw on October 28th 2013! BEST WISHES AND HAPPY THOUGHTS! My struggle to find an effective, natural deodorant is one that most green beauty users will often have. Since going green with beauty, I have searched for a deodorant that works and also was enjoyable to use. I have literally found a total of 4 effective natural deodorants- so far! 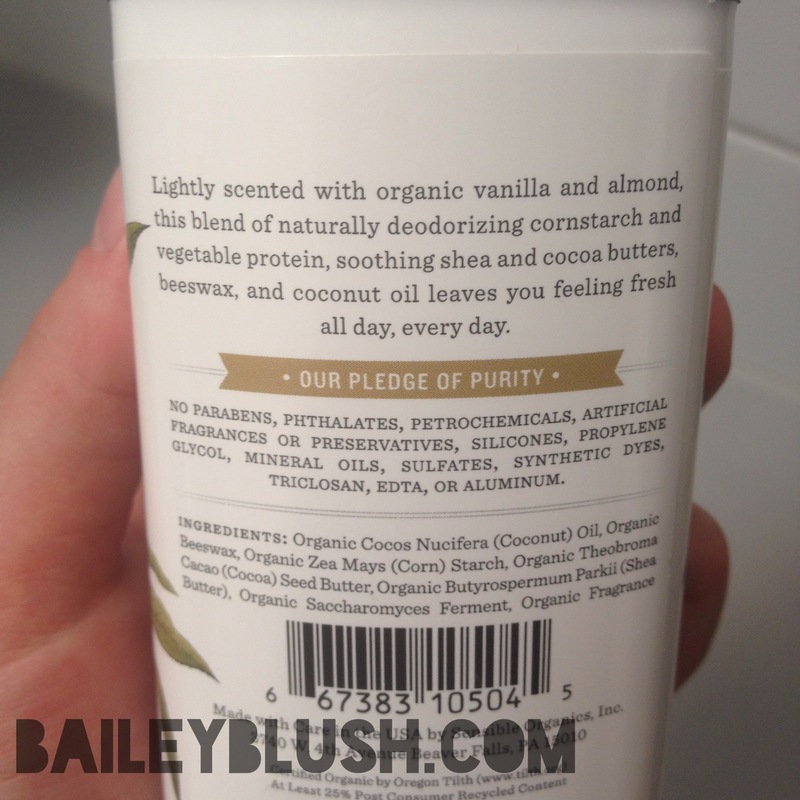 Nourish Organic Deodorant is one of them and DEFINITELY my favorite! The Nourish Organic Deodorant is truly awesome. A 100% organic USDA certified deodorant that works effectively to diminish body odors and absorb excess sweat! And it actually works. It leaves my under arms smooth, dry, yet incredibly moisturized and soothed. The scent that I have tried is the Vanilla Almond, a subtly nutty sweet scent that works well with my own natural chemistry to help me smell sweet- not sour! The Nourish Organic Deodorant comes in a variety of different scents to suit your preferences. Fresh Fig (I want to try), Lavender Mint (Also want! ), Wild Berries and Unscented. Cornstarch and Plant enzymes protect against odor and wetness while Shea Butter, Cocoa Butter, Beeswax and Coconut oil soothe and smooth the delicate underarm skin. 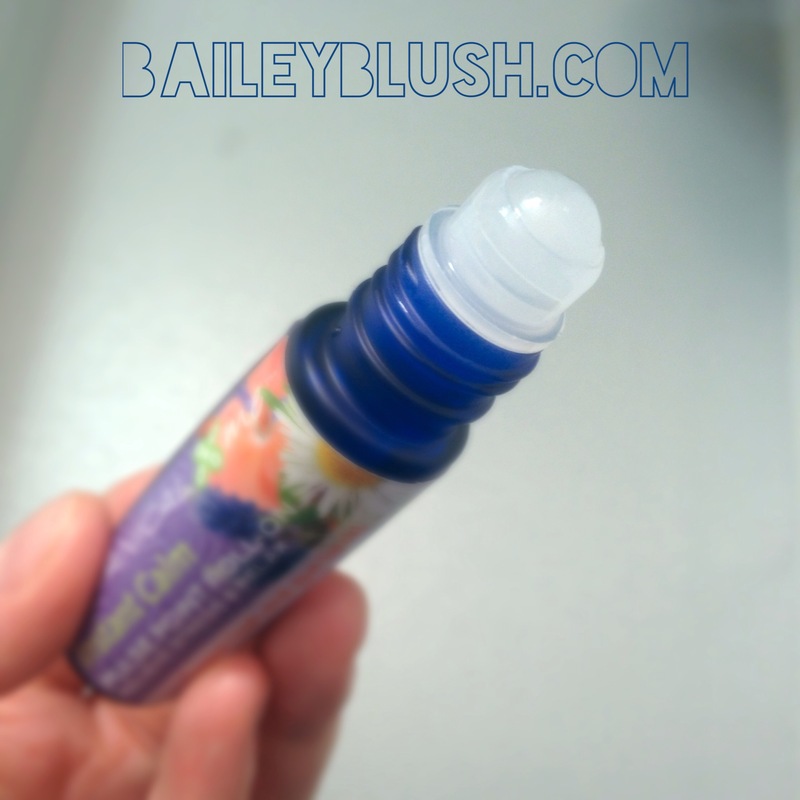 Perfect for sensitive skin- A balm type application stick makes it easy to apply, so there is no tugging! 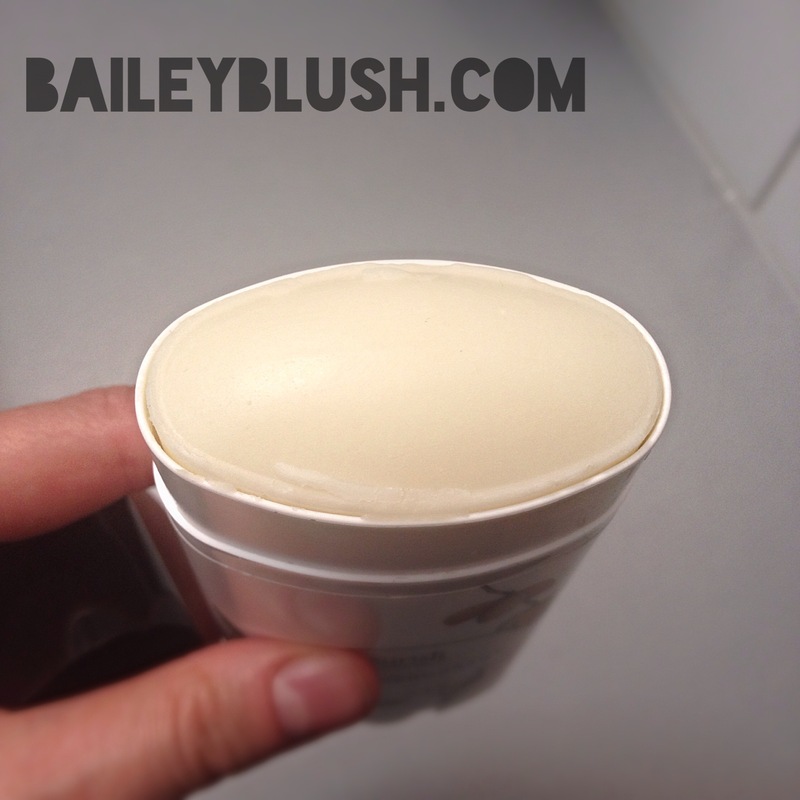 Do you want to try the Nourish Organic Deodorant in Vanilla Almond? GUESS WHAT!? 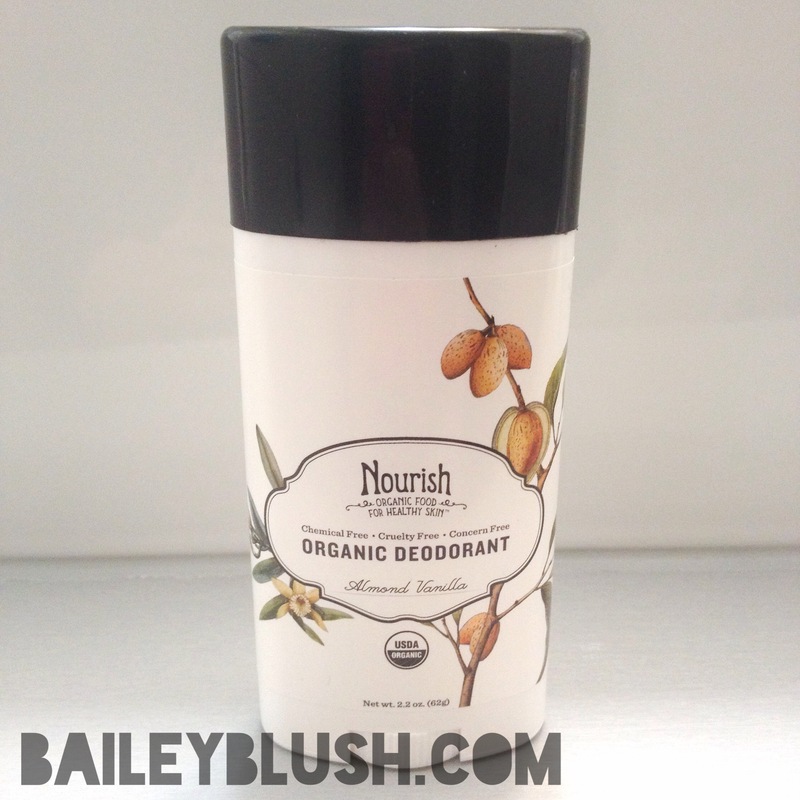 Nourish Deodorant in Vanilla Almond will be part of my next giveaway! Look for details on the blog next week!!! 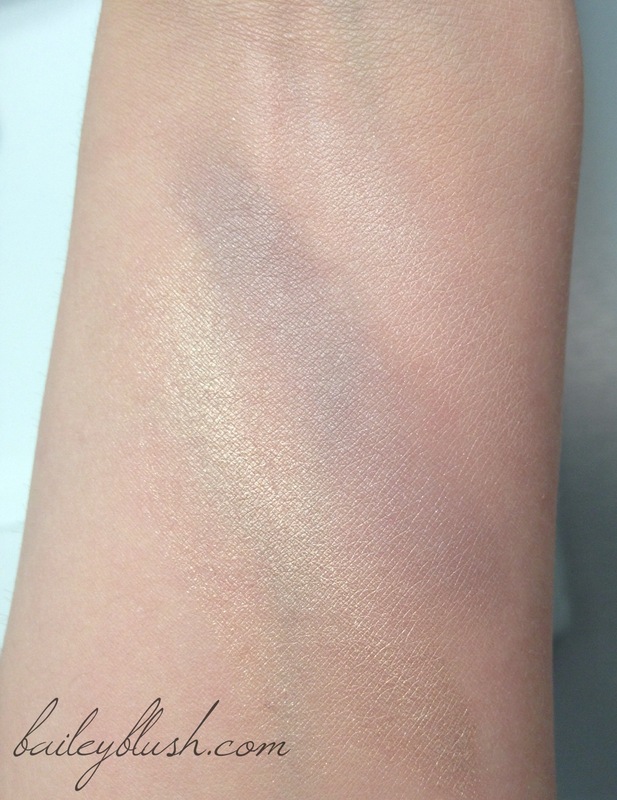 The ultimate high shine eye color- hence the name High Shine Eye color! I seriously love these eye shadows. Super shiny, extremely pigmented- foiled metallic gleam! Simply gorgeous for those who love their eyes to glisten! 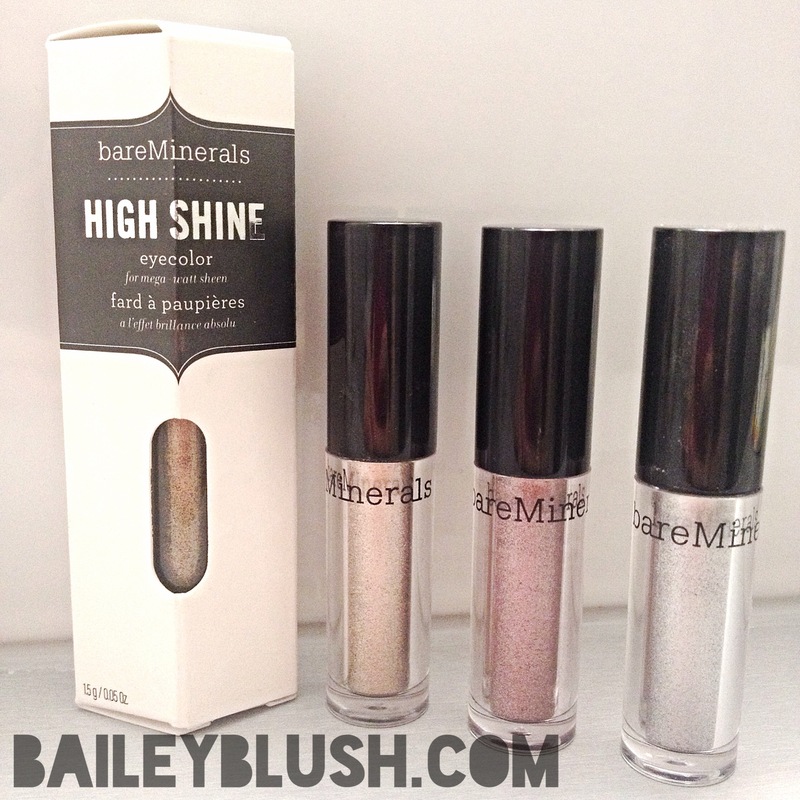 I used the Bare Minerals High Shine eye colors as full shadows and as liners- They were so smooth and spectacular. The colors were all so lovely- and really brought bold attention to my eyes. 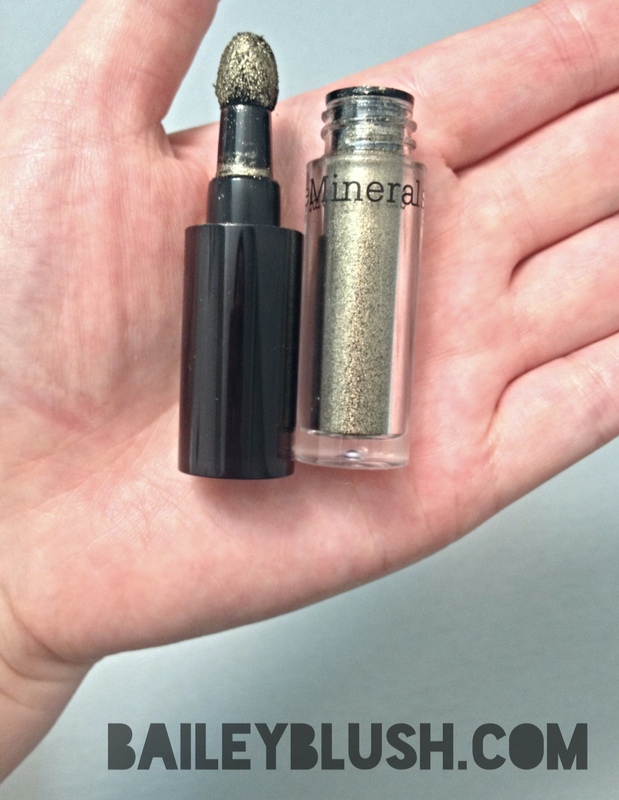 They come in a convenient cushion tip- on the go applicator but I did not find that the best way to blend the color. I used the cushion tip to apply the pigment- and would blend with the brush of my choice- depending If I was wearing it as a full lid color or liner! It was so long lasting- even without a shadow base it lasted from the morning until the evening! Ingredients : Oryza Sativa (Rice) Lipids, Silica, Carmine (CI 75470). (+/-): Mica, Titanium Dioxide (CI 77891), Iron Oxides (CI 77489, CI 77491, CI 77492, CI 77499), Aluminum Powder (CI 77000), Bronze Powder (CI 77400), Chromium Hydroxide Green (CI 77289), Chromium Oxide Greens (CI 77288), Copper Powder (CI 77400), Ferric Ferrocyanide (CI 77510), Manganese Violet (CI 77742), Ultramarines (CI77007). 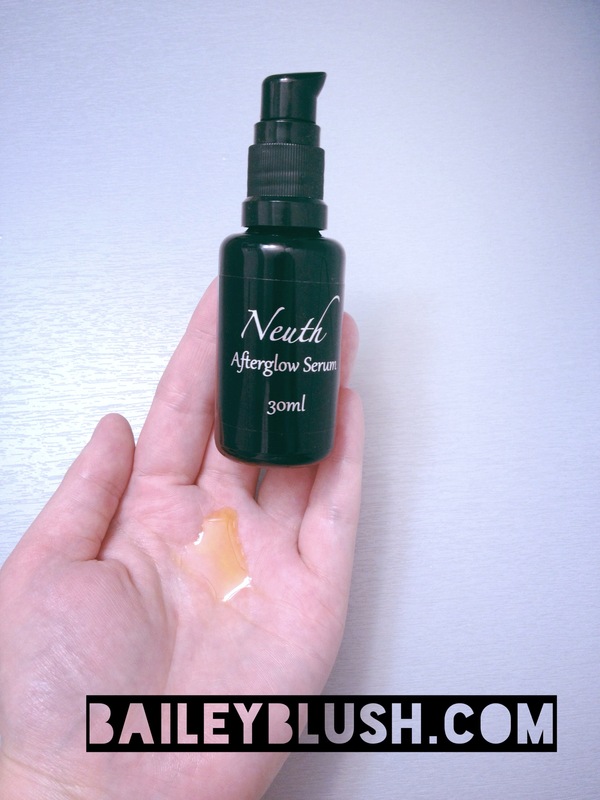 Neuth Cosmetics is an elegant and simple skincare line that uses all natural and organic ingredients that are all sustainably harvested by fair trade suppliers. The line currently consists of two skincare products designed for your nightly care routine, and they truly do prepare your skin for the best beauty sleep possible. Literally the most decadent, luxurious, plumping, hydrating cleanser I have EVER tried! And since returning from humid, hot Turkey back to dry- cold Canada, my skin started to resemble raisin bran… Seriously! I was in desperate need of this cleanser! 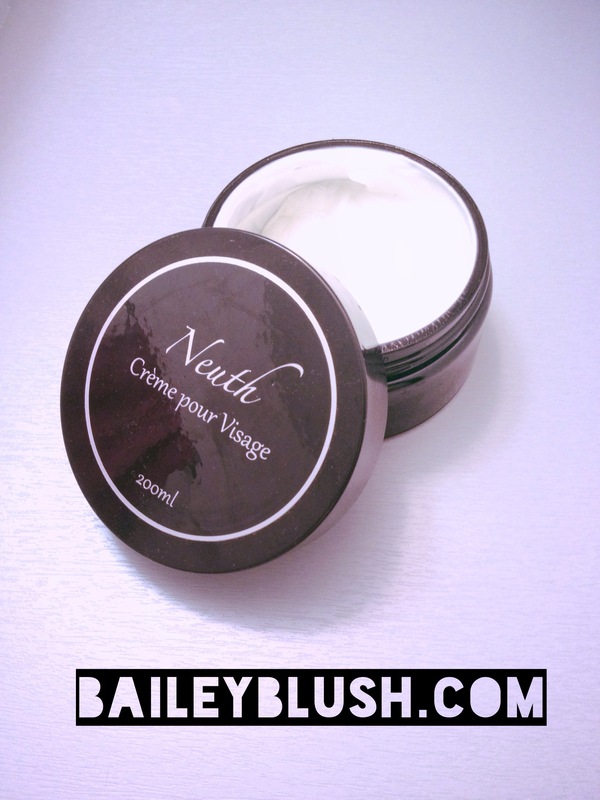 The Neuth Organic Creme de Visage is an amazing nightly cleanser designed to nourish, cleanse and remove makeup. It feels like butter- literally, and is complete relief and repair for dry, sensitive, mature or damaged skin. With ingredients such as Grape seed oil, coconut oil and rosewater it’s no wonder my skin is soothed, hydrated and plumped after each use! It removed all my makeup, including mascara and long wear liner! This luxurious cream is stored in a classic dark glass jar to ensure potency and integrity of the ingredients, while looking completely elegant. Take a quarter sized amount, cleanse into dry skin, all none waterproof makeup can remain on the skin! Gently massage the Organic Crème de Visage into the skin for 30-60 seconds. Moisten a cloth with hot water and gently wipe away the Crème from your skin. I liked to splash my skin after I wiped the Crème away, although it is not necessary to do so. Reveal- glowing, instantly hydrated skin! A delightfully smooth, lavender infused night serum that compliments the unbelievable hydrating experience of cleansing with Organic Crème de Visage! Light weight yet deeply nourishing- this oil based serum calms and smoothes skin. Great for complexions that are dehydrated, dry or mature. I loved the way the Organic Afterglow Serum felt on my skin, extremely soft and soothing, it was a treat to experience before to sleep. In the morning my skin was radiant, soft and in one word- comfortable. I did not feel dry or tight, nor did I feel overly oily or as if I needed to wash my face immediately- It felt great! Also housed in a dark pump to preserve the sustainably harvested, fair trade ingredients-Rosehip oil harmoniously blended with Lavender essential oil for a peaceful beautifying experience before bed- sweet dreams! Right after cleansing- while skin is still damp apply two-three pumps of the Organic Afterglow serum over face, neck and decollete . The company name may give it away, but in case you didn’t know- the line is based on the wonderful Seabuckthorn plant which has endless health and beauty benefits. They have a broad range of products including seed and berry oil, creams, lotions, salves, soaps and much much more! I was sent a lovely package containing a couple of the SBT Seabuckthorn products to try and tell you about! The Berry Essence Skin Salve is a perfect, basic every day skin salve good for all skin types and all concerns along the way. Completely naturally unscented- it is also ideal for those who are concerned with scent or irritation to essential oils. It is formulated with a high concentration of Sea Buckthorn seed and fruit oil. With the high nutrient content of Sea Buckthorn oil- rich in vitamins, antioxidants and essential fatty acids- this salve is a skin loving, anti aging awesomeness in a tin! The Sensitive Skin Salve is designed for those who have uncomfortable sensitive skin due to a variety of factors including diet, allergic reaction, chemicals or fragrance in cosmetics etc. this salve will be sure to help calm and repair every blotch and bump! Enriched with the Sea Buckthorn Seed and Fruit oil as well as Pomegranate, Rosehip, Lavender and Geranium oil- all great sources of vitamins, nutrients- with calming benefits for your sensitive skin! How to use the Salves? 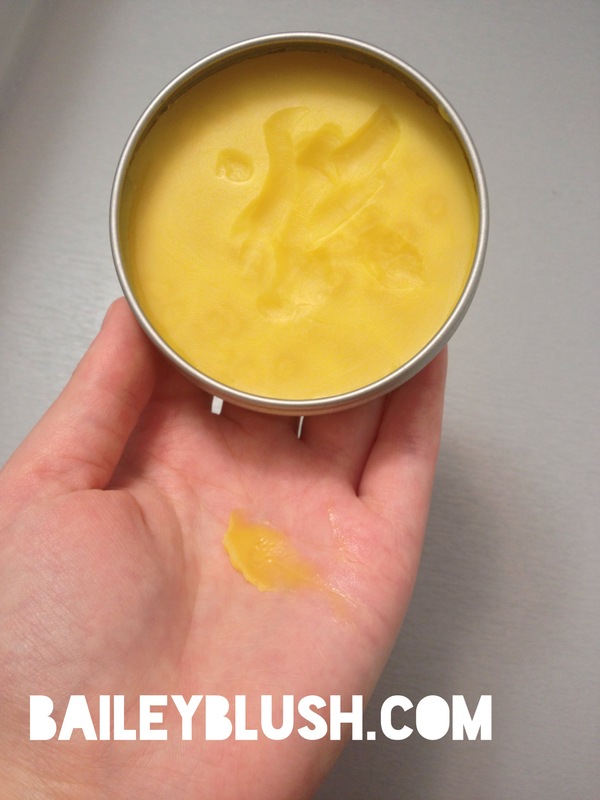 By scraping a small amount of the salve from the tin and warming it in my palms to create an oil, I used the salve everywhere including my face (favorite place). I really loved them on my cuticles, hands and heels! They are so compact and easy for travel, you don’t have to worry about any oil spills. It softens, soothes and smoothes my skin. I loved to use it after shaving to keep my skin extra smooth and soft while soothing any irritations I had. You can apply 2-3 times a day! My favourite would have to be the Sensitive skin soothing salve, because of the light lavender scent- I found it so soothing. They have so many different Soothing Salve options including Rosacea, Sunburn, Stretchmark and Scars etc! As mentioned previous SBT Sea Buckthorn makes many other different product options all infused with Sea Buckthorn goodness! Please keep your eyes peeled for SBT Seabuckthorn in my next Giveaway! Coming soon!!! 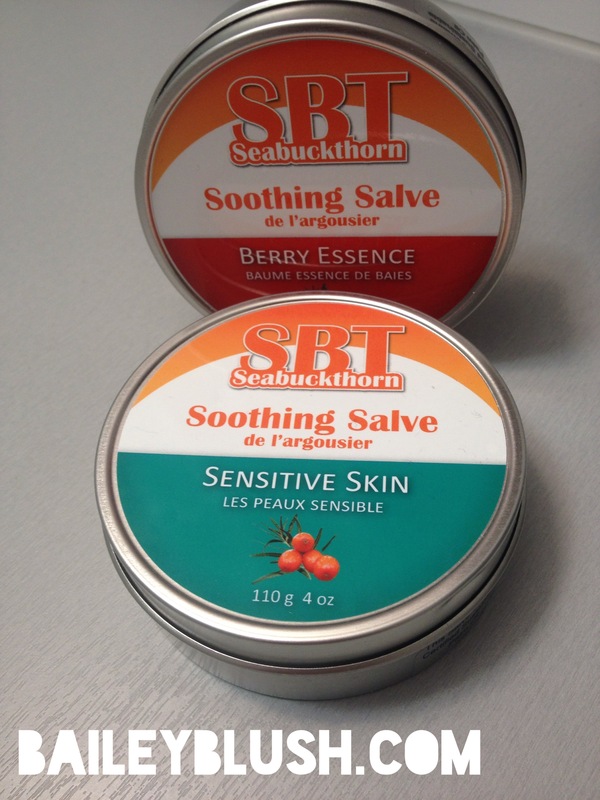 Thank you Marissa from SBT Sea Buckthorn for letting me enjoy these wonderful Soothing Salves! The products themselves are nothing short of gorgeous- Two Simple, yet effective serums designed to nourish and care for all skin types. As a celebrity makeup artist- Lina Hanson has worked with all skin types and concerns, and recognizes the great importance of radiant, beautiful and healthy skin. In a market flooded with overpriced, ineffective, and harmful beauty products- Lina was inspired to change the game and create something luxurious, safe and effective; all while using the earth’s most powerful and precious skin healing and anti aging oils. Firstly I would like to say that I love the simplicity of the line. I believe that as women and beauty junkies we can often complicate our lives with too many steps. The Lina Hanson Global Serums are easy and effective for all skin types, and really do offer a more zen way to care for our skin (Meaning we don’t have to remember 1900 steps before we leave the house in the morning)- and they smell amazing! Lina has selected the best of the best multipurpose beautifying and anti aging ingredients from all around the world and used them in both Global serums, so you really are getting the best of this world. A smooth, deliciously scented, golden colored oil, the Global Face Serum instantly calms and hydrates the complexion; I loved using it both morning and night! It was a perfect base/primer for my makeup in the morning and smoothed any little dry patches instantly- and with continued use it diminished them almost completely! I noticed my fine lines were smoothed and my skin was hydrated and so soft. Although it is an oil, oily or combination skin can absolutely love and benefit from this oil; it absorbs instantly- and DOES NOT leave an oily finish. The smell is so calming and beautiful- I really adored it. A sweet scented, super luxurious body oil that is perfect for everyday, to keep skin hydrated, smooth and glowing. Long story short- when I began using the body serum the skin on my body looked mangy- and just yuck, after only one use my skin was smooth, glowing and happy! Please visit linahanson.com to find out more and purchase these skincare gems! 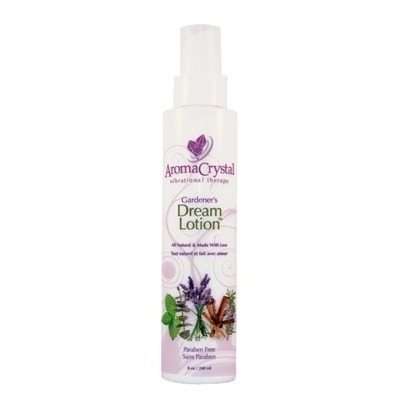 A while back I wrote a review on the amazing Aroma Crystal Gardener’s Dream Cream which absolutely saved my dry, itchy and burning skin. 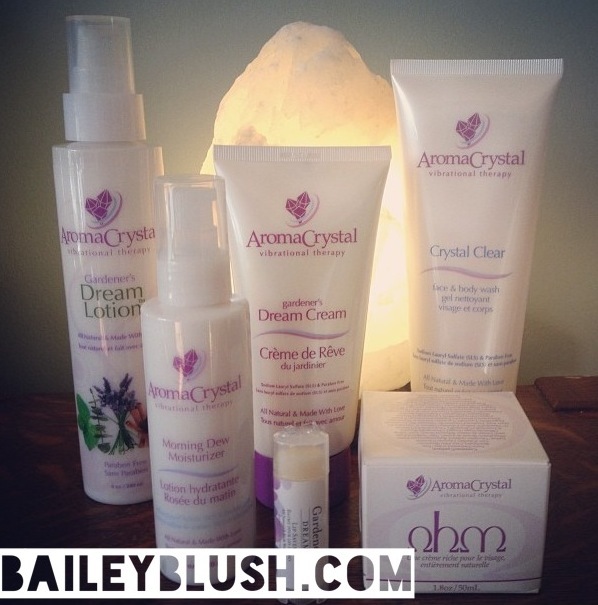 After this review, I received a delightful package from Aroma Crystal with some more products to try out! 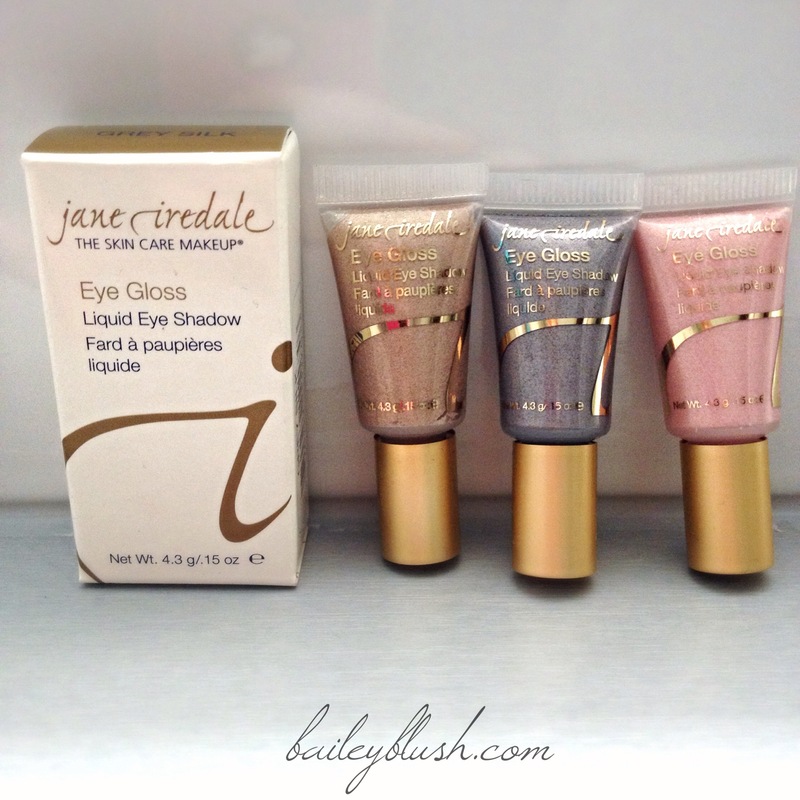 I really cannot say enough about the entire line, I truly enjoyed each product and found them effective and lovely. This sulfate free face and body cleanser was incredibly refreshing. Lemongrass, Peppermint, Tea Tree and Rosemary are some of the awesome antibacterial, antifungal and oil fighting ingredients in the cleanser. The Aroma Crystal Crystal Clear face + body wash is definitely better suited for an oily/ acne prone skin, especially if used on the face. The ingredients are designed to purify and even out the complexion, naturally. I really noticed the cool refreshing tingle it left on my skin after use, and was the perfect cleanser for me during the hot summer months. 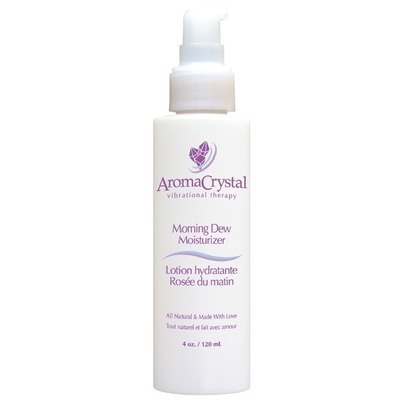 The Morning Dew facial moisturizer is an amazing lightweight lotion for combination/oily and acne prone skin. Since my skin is ever changing its mind on which type it would like to be, the Morning Dew moisturizer was perfect for my oily or acne days! I love the way it feels on the skin, it is so lightweight but you still feel comforted by the hydration it offers. I used it both morning and night, but found it perfect for day, underneath my makeup! With pure ingredients such as Sweet Orange, Lavender, Carrot Seed and Geranium, I definitely noticed a softened look and feel to my complexion. It left me matte to the touch, and helped to reduce the redness and inflammation of my blemishes. Ingredients: Aqua (Deionized water), Glyceryl stearate SE*, Butrospermum Parkii (Shea butter), Cera alba (Beeswax), Isostearic acid**, Behenoyl stearic acid*, Helianthus annuus (sunflower seed), Carthamus tinctorius (Safflower), Arnica montana (Arnica), Kojic acid***, Malic acid*, Tocopheryl acetate (Vitamin E), Retinyl palmitate (Vitamin A), Citrus aurantium dulcis (Sweet orange), Geranium maculatum (Geranium), Lavandula angustifolia (Lavender), Cymbopogon martini (Palmarosa), Citrus grandis (Grapefruit seed), Chamomilla recutita (German chamomile), Papaver somniferum (Poppyseed), Simmondsia chinensis (Jojoba), Origanum vulgare (Wild marjoram), Thymus vulgaris (Thyme), Daucus carota (Carrot seed), Cinnamomum zeylanicum (Cinnamon leaf), Hydrastis canadensis (Goldenseal root), Lavandula angustifolia (Lavender), Rosmarinus officinalis (Rosemary). As I stated in my previous review, I adore this cream. It soothed, moisturized and healed my burning, itchy and dry winter skin. I absolutely love the cooling relief it offers my thirsty skin, and I will never go without this cream in my home. Designed for the skin on the body, the Aroma Crystal Gardener’s Dream Cream, is literally, a dream. It has so many uses beyond treating dry skin; Infused with ingredients such as Arnica, Rosemary and Peppermint, this cream can help with a wide range of skin rashes, aches and pains and just for relaxation. One of my favorite ways to use this product is on my feet after a long day! It is so cooling and soothing and helps my feet to relax a de-swell. It’s like a little masseuse in a tube! Ingredients: Aqua (Deionized water), Butrospermum Parkii (Shea butter), Helianthus Annuus (sunflower) seed oil, Cetearyl alcohol**, Vitis vinifera (Grape) seed oil, Caprylic/Capric triglyceride**, Cera alba (Beeswax), Arnica montana (Arnica) extract, Lavendula Angustifolia (Lavender) oil, Isostearic acid**, Tocopheryl acetate (Vitamin E), Citrus grandis (Grapefruit) seed extract, Papaver somniferum (Poppy) seed oil, Mentha Piperita (Peppermint) oil, Rosmarinus officinalis (Rosemary) Leaf oil, Eucalyptus globulus (Eucalyptus) oil, Cinnamomum zeylanicum (Cinnamon) leaf oil, Retinyl palmitate (Vitamin A), Michelia champaca flower (Chamaca) oil, Origanum vulgare (Wild margoram) extract, Thymus vulgaris (Thyme) extract, Cinnamomum zeylanicum (Cinnamon) extract, Hydrastis canadensis (Golden seal) root extract. The Gardener’s Dream Lotion is a lightweight version of the cream. Also in love with this product, and is one of my daily moisturizing body lotions. It is perfect for someone who does not have extremely dry skin and is looking for a lightweight, fast absorbing daily lotion. It has the same cooling and soothing sensations because of Lavender, Peppermint and Rosemary! 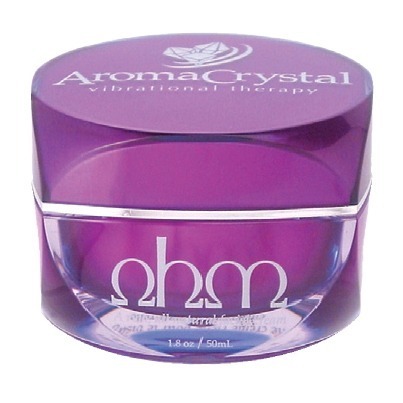 The Aroma Crystal Ohm cream is a decadently rich anti aging cream. It is amazing at nourishing dry, dehydrated skin and perfect for those concerned with combating the signs of aging! Rich in Carrot seed oil, Shea Butter, Lavender and Geranium it is the perfect blend for those with dry, sensitive and maturing skin. I used the Ohm in the evening because it is quite rich, but it is water soluble, so you can opt for a lighter application by applying to a damp skin! I loved the way my skin looked when I woke up, hydrated, smooth and glowing! Ingredients: Aqua (Deionized water), Cera alba (Beeswax), Glycerin*, Butyrospermum Parkii (Shea butter), Vitis vinifera (Grape seed), Behenoyl stearic acid*, Salvia officinalis (Sage), Chamomilla recutita (German chamomile), Cholecalciferol (Vitamin D), Retinyl palmitate (Vitamin A), Malic acid*, Panthenol (Vitamin B5), Lavandula angustifolia (Lavender), Geranium maculatum (Geranium), Papaver somniferum (Poppyseed), Cymbopogon martini (Palmarosa), Chamomilla recutita (German chamomile), Daucus carota (Carrot seed), Juniperus communis (Juniper), Origanum vulgare (Wild marjoram), Thymus vulgaris (Thyme), Cinnamomum zeylanicum (Cinnamon), Hydrastis canadensis (Goldenseal root), Lavandula angustifolia (Lavender), Rosmarinus officinalis. 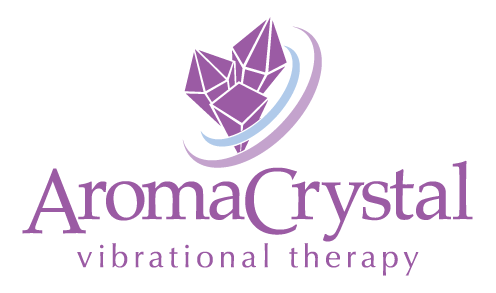 Please visit http://www.aromacrystal.com for more information on the products and where you can buy them and love them!